“Aaaah! After 10,000 years I’m free! !” are the iconic first words from Rita Repulsa after she is freed from a dumpster on the moon. It feels like Power Rangers fans have waited 10,000 years to see one of the world’s most successful, long running and profitable franchises of all time back on the big screen. 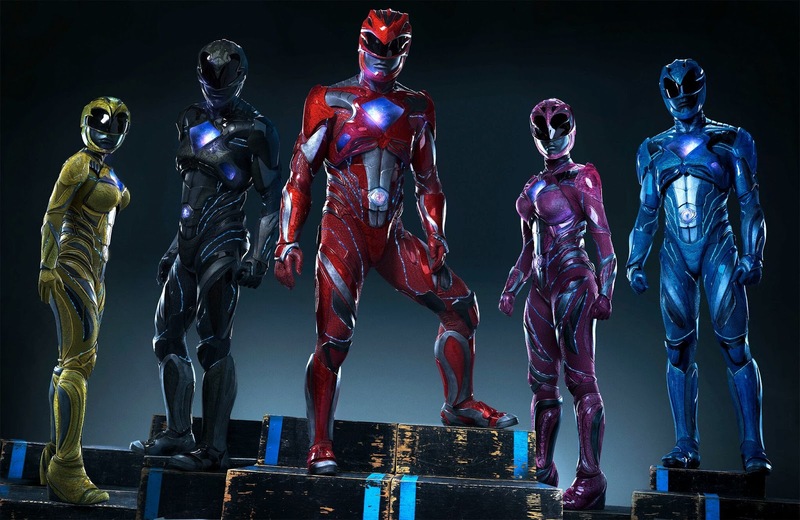 In a world in which we are constantly introduced to new superheroes as well as reboots of old TV shows and movies, it was only a matter of time before Power Rangers received the reboot treatment. However, the new 2017 Power Rangers is not necessarily a reboot, but more of a reinvention of the source material from the first season Mighty Morphin’ Power Rangers (1993) rather than a reboot of the 1995 film. You are probably familiar with the Power Rangers story. 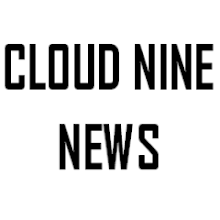 We meet five teenagers with millennial attitude: Jason (Dacre Montgomery), Kimberly (Naomi Scott), Billy (RJ Cyler), Trini (Becky G) and Zack (Ludi Lin) who are mysteriously bought together after they discover the power coins. They are thrusted into the world of the unknown after discovering the command centre which is home to Zordon (Bryan Cranston), who was also the original red ranger and Alpha 5 (Bill Hader), his robotic assistant. Meanwhile, Rita Repulsa (Elizabeth Banks) has been discovered by the fishermen in Mariner Bay (Lightspeed Rescue reference!!!) and with the green power coin in her possession, she wreaks havoc on the city of Angel Grove as she searches for the Zeo Crystal (Zeo!!!) whilst scouring the small town for gold to rebuild Goldar. As a longstanding Power Rangers fan, I was ready to discover all the Easter eggs and connections to the original series. One of the first things which stood out to me in regards to past seasons were the coincidental similarities to Power Rangers Dino Thunder (2004) which made several references to the original Mighty Morphin Power Rangers series whilst also trying to be slightly more mature and modern. For instance, the majority of the rangers in film meet in detention, they travel into the woods/quarry, discover and essentially steal their powers, discover their powers have given them superhuman civilian abilities, attempt to return their powers, the rangers do not get along with each other at first and not all of them want to become power rangers and so on and so forth. However, the comparisons that can be drawn between Dino Thunder and the new Power Rangers film are a strength rather than a weakness. Dino Thunder managed to give the Power Rangers formula a modern-spin and while the current seasons like Megaforce and Ninja Steel have tried and failed to present a contemporary version of teenagers with attitude, Dino Thunder was the last high school set season to have convincing high school characters. (this is the only comparison I will make between the movie and the TV show). The new film is unsurprisingly darker than the original show. Most children franchises from the 1980s and 1990s are usually given a darker tone and like Transformers and TMNT. While Power Rangers is clearly darker than the original show, both in its set, cinematography and themes, it also manages to retain some of the goofy humour from the show, despite the gloomy and angst-filled tone. Billy, to the surprise of no one, steals the show, and was the most developed character of the team thanks to the naturally funny and sincere performance by RJ Cyler. Billy also happened to be the character that has the most similarities to the character in the original show. That is not to say the character was not modified for a 2017 audience. Billy is more than just a cardboard nerd, he reveals he is on the autism spectrum, which often leads to him misunderstanding jokes and social interactions. For a franchise which prides itself on the diversity of its super heroes, it was amazing and somewhat unsurprising to see a positive representation of autism on the big screen. Alongside Billy, Jason and Kimberly received the most backstory; Jason is struggling with the law and his failed football career and Kimberly is involved in a social media bullying storm. Jason and Kimberly are completely different from their characters in the show however, their new versions are far more compelling and developed. Trini and Zack did not receive the same attention as the other rangers however, Trini, who is the first LGBTQ super hero in a blockbuster ingeniously comes out during a scene in which the ranger’s, after another failed day of training, decide to reveal their secrets to each other in order to morph. Trini’s coming out scene is brief and will probably fly over the heads of the most conservative parents but the fact this is even addressed in Power Rangers is astounding but again, somewhat unsurprising due to the franchise’s dedication to diversity. Eventually, we discover Zack is more than just the strange guy who hangs out in the quarry spying on people and is actually the sole career for his sick mother. The character changes from the 1993 show for the film served a purpose to the plot and helped the characters form a connection which in turn helped them to morph. Though the campfire scene in which the ranger’s disclose their secrets to each other (minus Kimberly) is something we have seen in pretty much every American coming of age film in the history of coming of age, it felt necessary to discovering the new versions of the characters for both audiences who are familiar with the original versions and new audiences who are unfamiliar with the franchise. And while it was disappointing not to see Zack as a break dancer or Kimberly as a gymnast, the new versions of these characters were well handled. Like the campfire scene, Power Rangers is contrived in the way it handles 21st century teen angst. At the start of the film, when we meet Jason, the former high school football star who has ruined his career prospects and the girl who is seemingly bullied by her friends and pulls a Mulan and cuts of her hair, it is easy to write off the characters and the film as a typical teen angst/rebellion film. 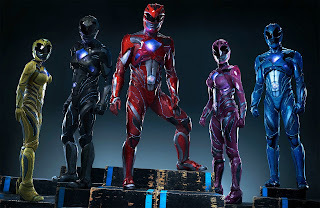 Power Rangers does follow the conventions of other Lionsgate teen-focused films like The Hunger Games, Maze Runner and of course, Twilight in its approach to representing contemporary teenagers however, unlike the films mentioned Power Rangers lacked a clear romantic subplot which was quite surprising given the studio behind the film, which clearly had a huge influence on the creative direction and tone. Power Rangers spends its first acts focused on the team, building their backstories and forming their relationships. All five ranger actors are newcomers and though some of their performances are shaky during the first act, like the characters they are portraying, they become stronger and more confident in their roles. Throughout its almost 25 year history, Power Rangers has always placed diversity at the forefront. The vast majority of ranger teams both on the big and small screen have included actors from a multitude of racial and cultural backgrounds and at times, these differences have become part of the storyline of the show. In today’s political and social climate, a film like Power Rangers which brings together young people whom represent several different continents and cultures is refreshing, even if it does sound incredibly cheesy on paper. Gender diversity is extremely important to the Power Rangers franchise. Power Rangers managed to bring not one but two strong and incredibly powerful female superheroes as main characters in a blockbuster film before the superhero heavyweight studios Marvel and DC, one of whom is LGBTQ and both actresses from ethnic minorities. Furthermore, the film does not contain an obvious romantic subplot involving the two female characters, even though a romantic connection is hinted at between Jason and Kimberly. The main villain is also female and a former Power Ranger. The Power Rangers movie toy line also features the Yellow and Pink Power Rangers thus avoiding the Black Widow Avengers controversy. Elizabeth Banks clearly had a lot of fun playing Rita Repulsa. She managed to mix enough crazy with funny to give her own, scarier interpretation to the character. At times, it seemed as though Banks was unable to settle on one accent, as Rita sounded American, English and Eastern European at various points in the film. Goldar becoming the monster-of-the-week destroyed all aspects of the original character’s humour and uniqueness. Though the film does a good job at including aspects from the original show and either keeping or changing them for modern audiences, there are some differences which do not make sense. For example, we do not actually see a complete morphing sequence nor do we hear the ranger’s call out the names of their zords. Only the final act of the film shows the ranger’s engaged in battle. But their CGI filled battle with Rita’s putties is cut short when they decide to use their zords to destroy Goldar. One of the best aspects of Power Rangers is seeing real people in real suits fighting monsters that are also in real suits. Due to the obviously smaller budget the TV show has, the battle scenes in the show lack the special effects and CGI seen in the film but, like many super hero films, the battles often look more computers generated than realistic. Basically, the suits looked fake and not like there were Japanese stunt men in them. And while the team building scenes in the first acts of the film are entertaining, it takes far too long to actually see the Power Rangers fighting as Power Rangers. The film does a good job at setting the foundations for a long running film universe. The Zordon era in Power Rangers, as fans will know, is filled with characters and storylines which are more than capable to be adapted for the big screen. If a sequel is produced, it will most likely be based on the Green With Evil saga and will introduce us to Tommy Oliver. The film has also separated itself from the original series in some ways by introducing the Zeo Crystal very early into the story as well as making Rita Repulsa the first green ranger amongst a team of alien rangers (reference not intended) in which Zordon was the red ranger. Future films could adapt The Mutiny and adapt Lord Zedd, The Zeo Quest, White Light and The Alien Rangers. I have been a fan of Power Rangers for the last 14 years and I can honestly say the 2017 Power Rangers film was very good. Though it did have some flaws (such as by trying to separate itself from the light-hearted and goofy tone of the original 90s film it ended up having a slightly generic teen-angst tone one would expect from a Lionsgate film), it managed to keep the essence of its source material: diversity and team work, whilst introducing a range of modern themes and issues not addressed in the TV show, prior films or even in current superhero films like a, which made this reinvention, or reboot as most audiences are likely to see it, relevant and a worthy addition to the Power Rangers universe.